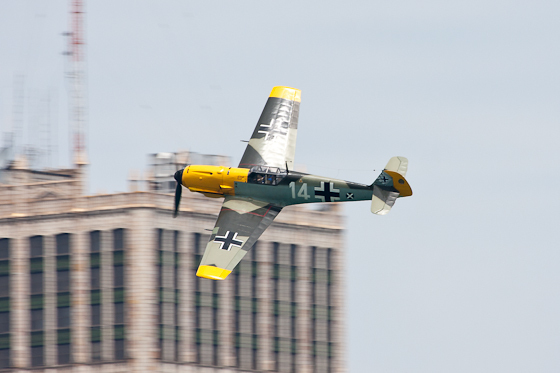 The 2010 Red Bull Air Race took off today at about noon with various vintage warbirds and sky diving teams taking to the skies over the Detroit River. 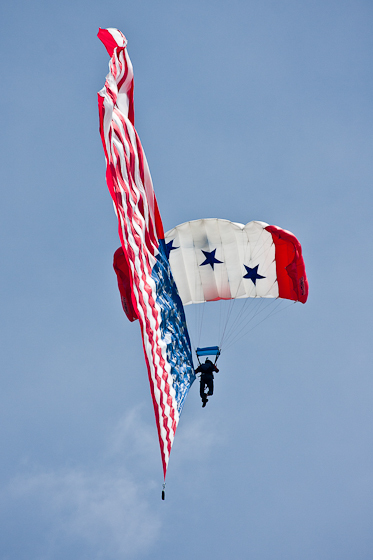 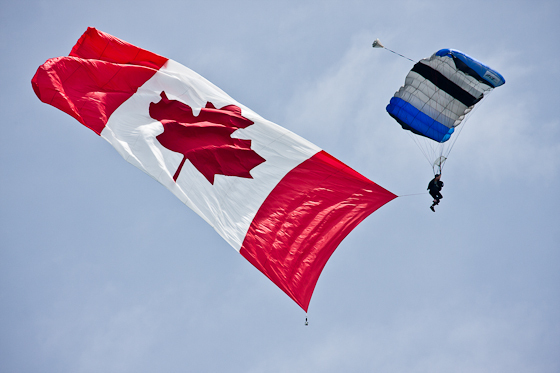 The Red Bull team parachuted two flag bearers with both the American and Canadian flags. 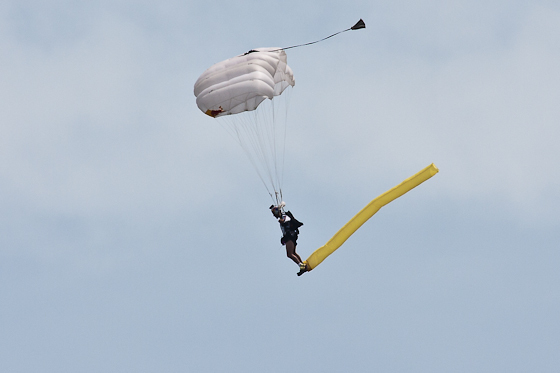 Then the Red Bull Air Force sky dove from about 1500 feet down to a landing pad using specially designed suits. 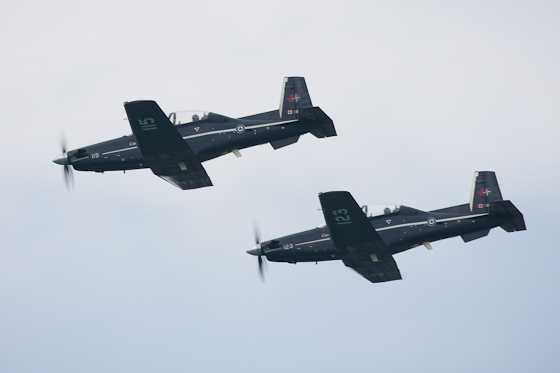 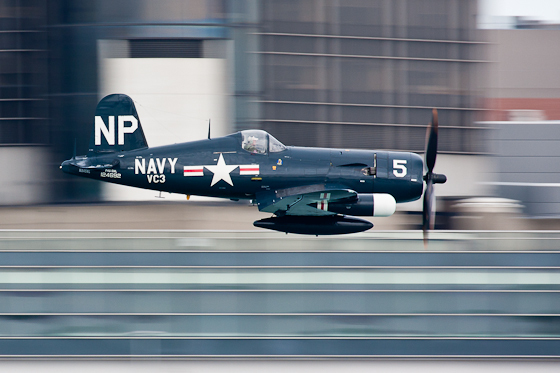 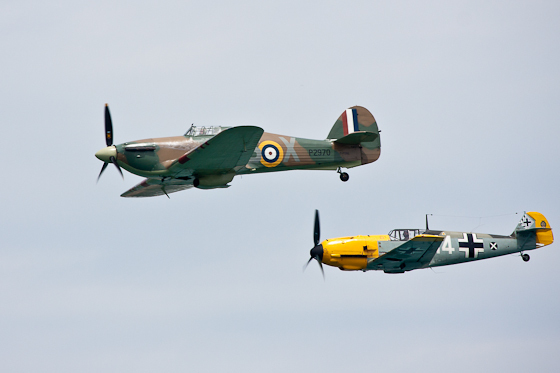 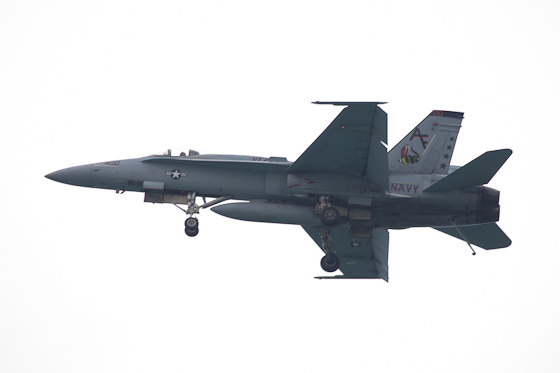 The act also featured various WWII planes, the F4U Corsair from the Vietnam campaign, and modern F/A-18 fighters from both the US Navy and the Canadian Armed Forces. 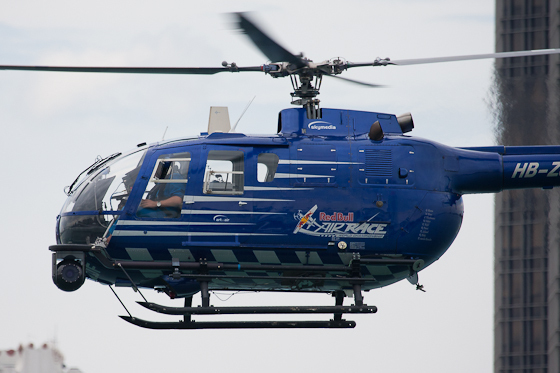 The Red Bull helicopter was also flying over to film and also act as a bird repellent to prevent bird strikes which have caused problems in previous races.